KAMAZ PTC (part of Rostec State Corporation) summed up the results of the traditional annual contest on invention and rationalization. Candidates were considered by a working group headed by Ilgametdin Burganov, Chief of Bureau of Patent-Licensing and Inventive Work at the R&D Center, and the Committee for Invention and Rationalization summarized the results in all prestigious nominations. As a result, Aydar Ziyatdinov, Head of the Suspension and Axle Design Bureau of the R&D Center, became the Best Inventor of the Year. Last year he filed 14 claime for inventions, utility models and commercial prototypes. Renat Gimadiev, Deputy Chief of the Department for Material and Technical Support of the Engine Plant, was recognized as the Best Rationalizer of 2016. He suggested 23 breakthrough ideas, and 17 of them have already been introduced. The economic effect of their implementation exceeded 5.3 million rubles. Three best inventions of the year are introduced at the foundry. The jury awarded first place to a mold chiller, second place to a semi-automatic machine for dressing of pedestal cap molds, third place to a universal push cart for transportation of small loads. A generator for a Euro 4 engine won in the competition for the best rationalization proposal of the year. In total, in 2016, more than 1,500 items of invention and rationalization were used in production. The employees of the development unit received 59 titles of protection which is the highest quantity. 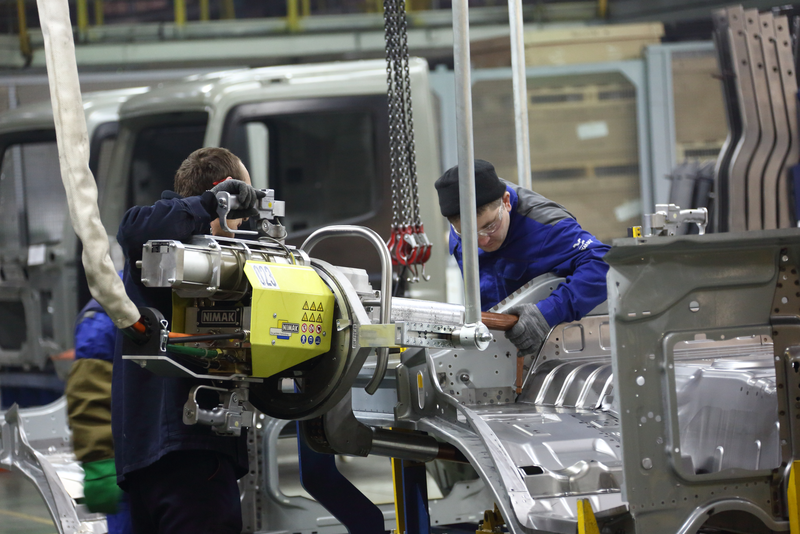 The engine plant managed to reach the highest saving from the use of industrial property and rationalization proposals among KAMAZ’s plants – over 222 million roubles.